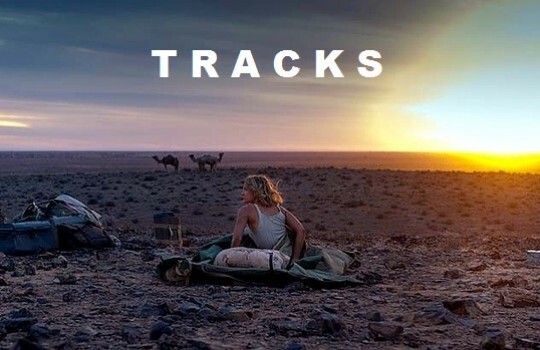 Tracks is the incredible adventure of Robyn Davidson, who trekked 1,700 miles (2,736 km) across the Australian deserts from Alice Springs in Central Australia to the Indian Ocean coast. 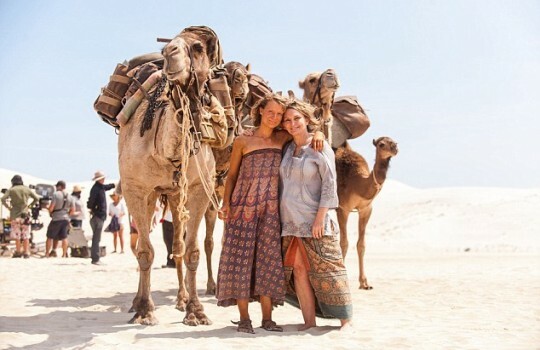 Robyn wrote the story of this 6-month initiatic journey with her dog and three camels in National Geographic and later in a novel, Tracks, that was adapted to the screen in 2013 by John Curran. If nowadays traveling has become more common, it was a different story in the 1970s for someone to embark on such an ambitious challenge, never mind for a woman alone. Through the great performance of actress Mia Wasikowska shines Robyn Davidson’s quest for freedom and meaning in life. We ecstatically follow Robyn and her small camel train as she goes through the merciless desert in beautiful scenes all filmed in Australia. But also anxiously at times, when she gets lost or suffers from the lack of food and water. 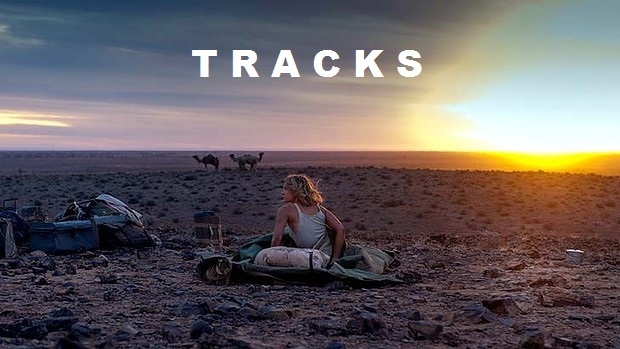 Tracks is above all a beautiful human experience, symbolized by the pure friendship formed between Robyn and Eddie, an Aboriginal Australian respected elder who accompanies her through Western Australia’s sacred sites. United by their love for nature, their bond transcends words and contrasts with the shallow discussions she grew accustomed to before heading west. Thanks to its breathtaking sceneries and powerful narration, Tracks, the film, is an amazing sensory experience that leaves a deep impression and naturally appeals to the nomad in everyone of us. If you are looking to follow the footsteps of Robyn Davidson, have a look at LegendaryTrips’ recommended 2-week Australia itinerary going through some of the landmarks visited by Robyn like Uluru / Ayers Rock. 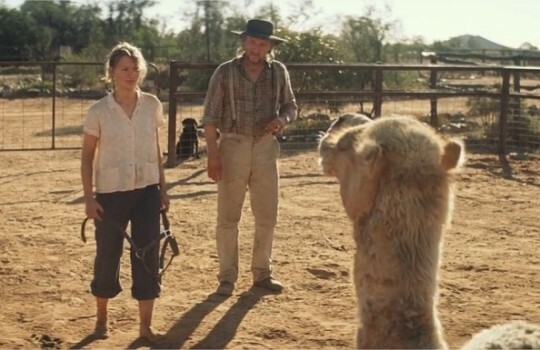 Robyn Davidson (Mia Wasikowska) learns to train camels in Alice Springs (Central Australia). Imported from Arabia, India and Afghanistan during the 19th century, camels strived in Australia to the extent that the populations of Australian feral camels reached about one million in 2008 and was considered a pest for the environment. Robyn Davidson (Mia Wasikowska) reaches Uluru / Ayers Rock, one of Australia's most famous natural landmarks and a sacred site for Aboriginal Australians. 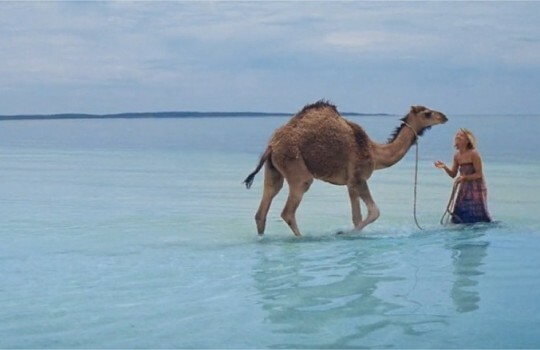 Robyn Davidson reaches the Indian Ocean after an extraordinary 1,700-mile (2,736 km) trek through the deserts of Western Australia. Mia Wasikowska and Robyn Davidson on the shooting of Tracks in Australia.